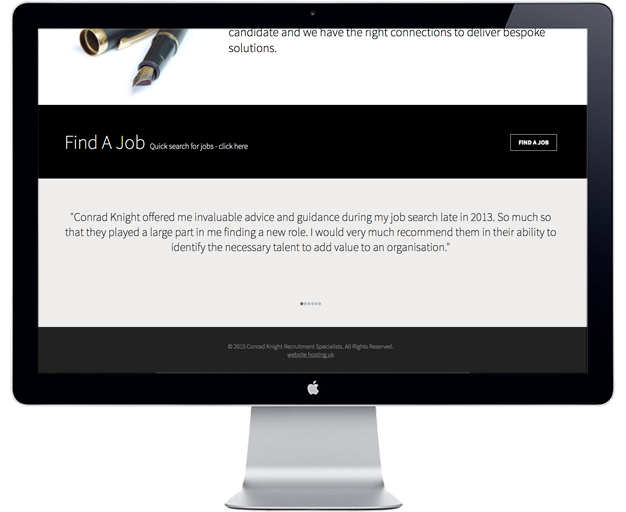 Conrad Knight have over 30 years of blue chip executive search experience to bring clients the very best in senior IT talent. With connections in all business sectors, they also help senior and talented IT professionals take the next step in their career. Managing partner, Rob Reason, was looking for an updated brand identity that was cleaner, more modern, and fitted better with the company core values. 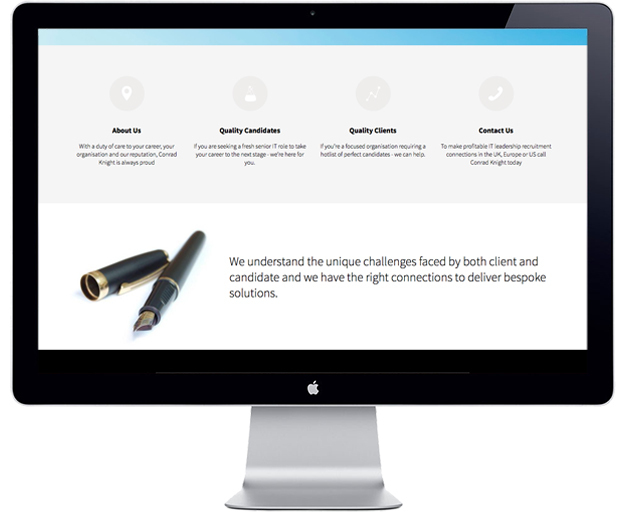 After we completed the redesign of their logo we set to work designing a clean, modern, responsive website. Working closely with the copywriter and developer we designed them clean, modern concept focused on content and user experience. 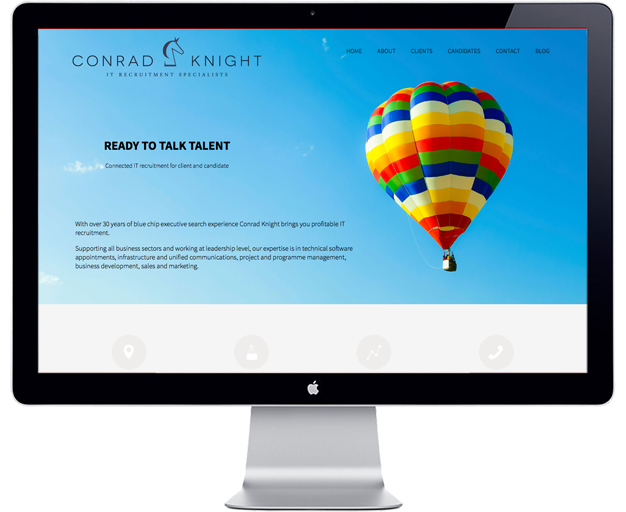 With the new design, we were able to fully communicate to visitors the high-end market position of Conrad Knight. To visit their website, click below. The Conrad Knight website was designed with Redwax Ltd.